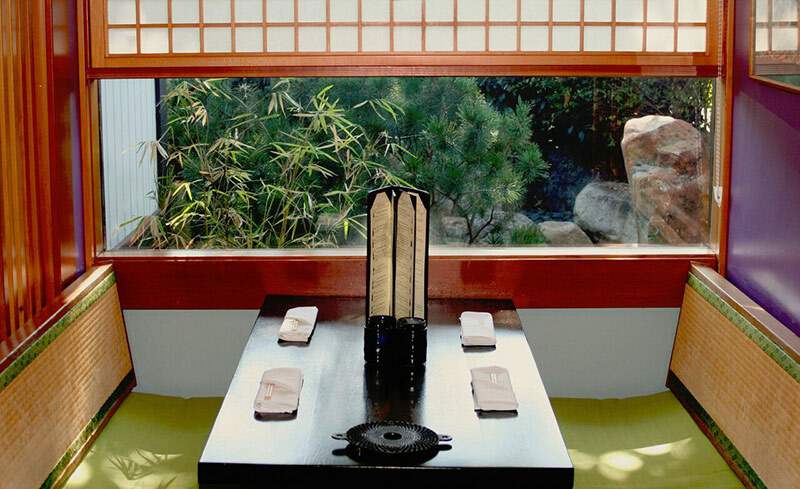 Encircled with shoji lined window booths, the main dining room is elegantly presented. 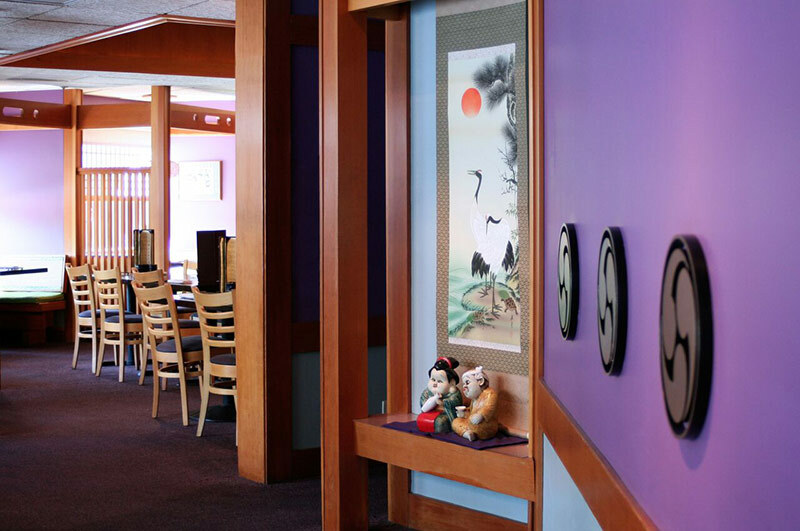 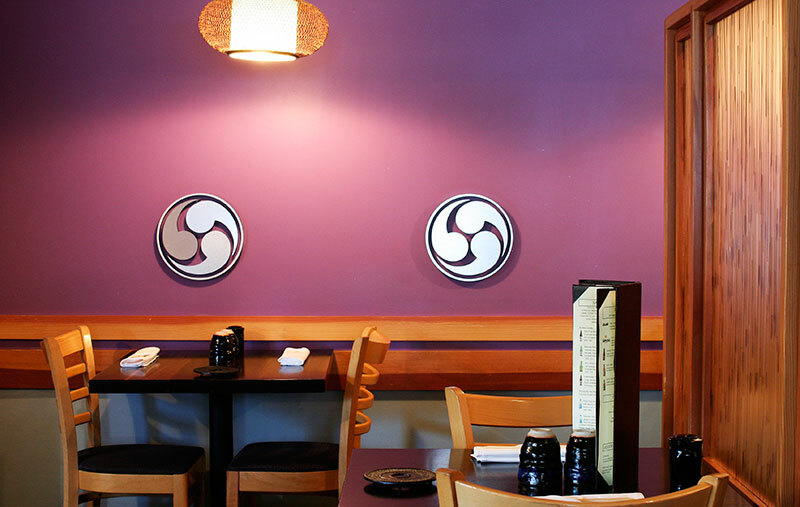 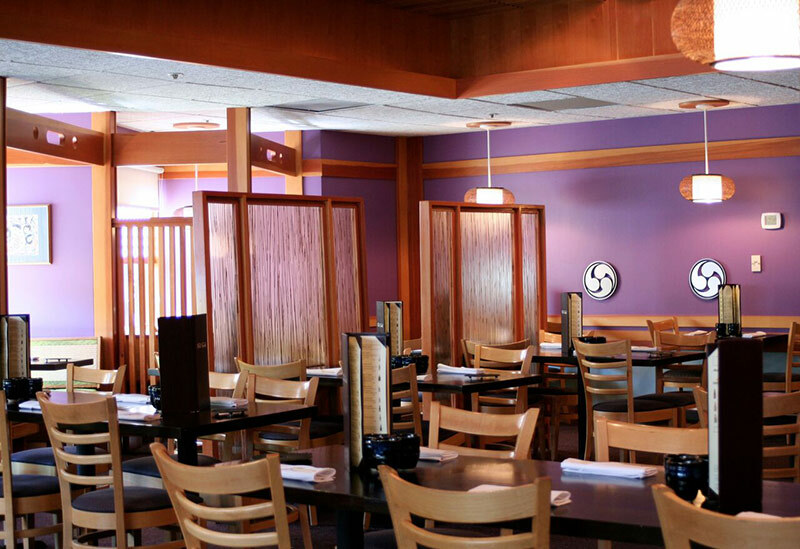 Royal purple walls accentuate traditional Japanese art while fresh flower arrangements intrigue your senses. 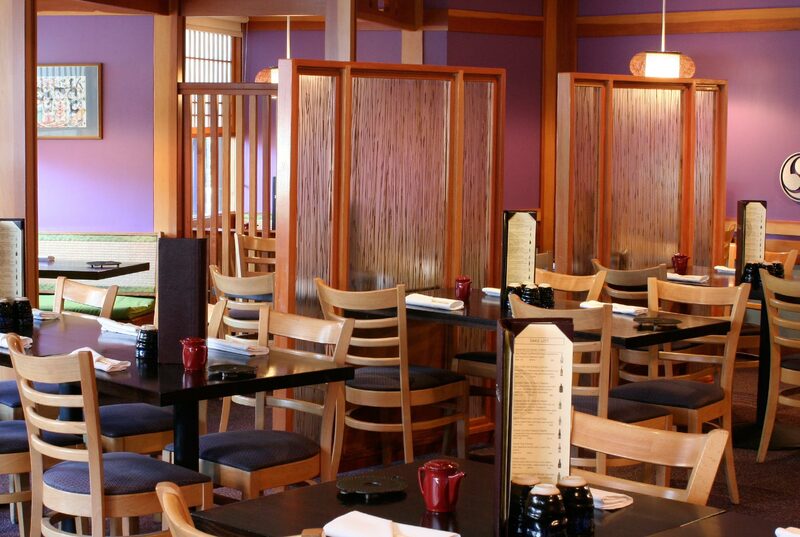 The western style seating may accommodate intimate dinners for 2 or parties up to 70 guests.